How do I "Control + F11" my writing? How do I refresh my inspiration? Most days I just sit in front of the screen and type. Just type it all out and see what comes out onto the screen. I love to see my thoughts run rampant across the keyboard. I love to see where my thoughts take me. I've been known to search relentlessly on Pinterest for inspiration through quotes that I love. Reading others' words puts me at ease. It gives me the words I need for the day - or night, usually. I scroll scroll scroll through the pages and pages of Pinterest wisdom hoping something will catch my eye and make me ponder. But lately, that scrolling can be very time-consuming. Time I would rather be writing than scrolling, you know? But one night last year, I found a pin that stated "10 New Places to Find Quality, Free Photos". I am no photographer, so I look all over the internet on most days until I find a photo that I can use. Well, no longer. I found a huge amount of companies that let you use their photos for free and free to use any way you want - no strings! Okay, I lie. Some of them ask for you to sign up for a newsletter or something - but no big deal. I love photography. Photography makes my own words come out so I don't have to be scrolling for quotes to do so. I've used Unsplash, Gratisography, but my most favorite is Death to the Stock Photo. I get a free pack of photos sent to my inbox pretty much weekly. I love it. Every time I get a pack, I get inspired. It so works for me. By the way, this is not a sponsored post. Definitely not. I'm just refreshed. I'm refreshing my inspiration, loveys. I know a lot of you are bloggers as well, so maybe the photos you find on those sites will refresh your inspiration. This last pack of photos I got this morning included writing prompts. Yes! Prompts to help me start my stories on here. Stories that I want to share with you this year. Control + F11, loveys. Refresh. Refresh! 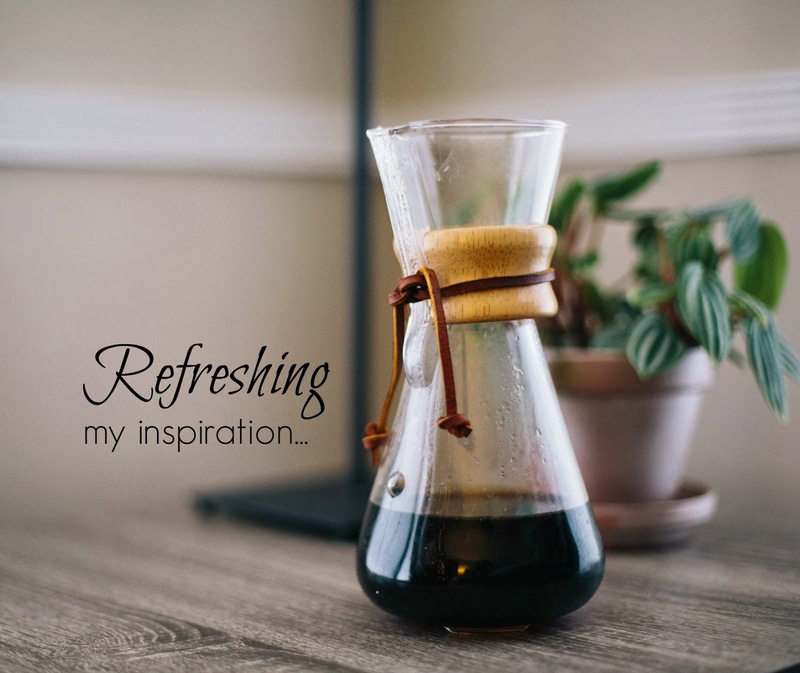 And now I want to know, how do you refresh your inspiration? I run. And many times when I run, I find new inspiration in my thoughts rattling. And when I return from a run, I'll jot them down. :) I also do love Pinterest quotes, by the way.